Hasn’t it been cold recently?! When it is chilly I think we all want to enjoy a hot pudding now and again, and we also crave comforting food from our childhood. Well that is certainly true for me anyway. I remembered a packet of pudding rice I saw at the back of my store cupboard, and thought rice pudding would be just the thing. Making it in the slow cooker instead of in the oven gives me more freedom to attempt to get the house in order while it cooks, and as you know I do like to put the slow cooker to good use at all times. 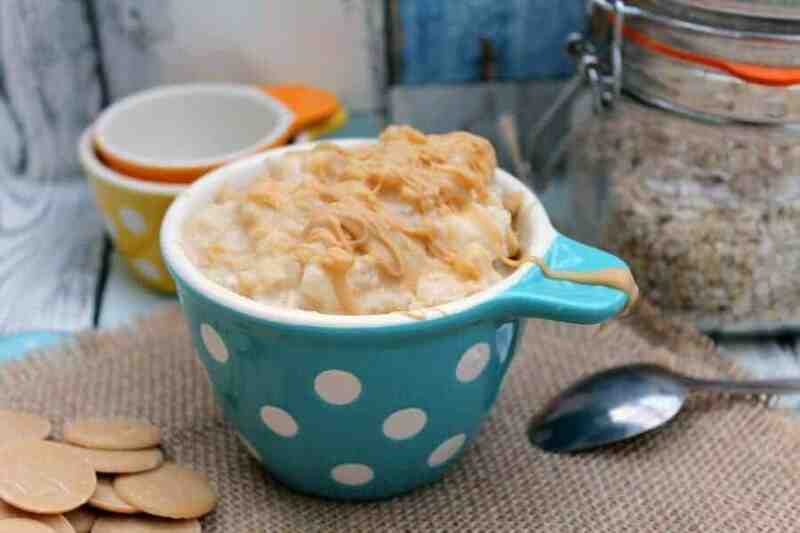 Read on to find out how I made my creamy slow cooker rice pudding with Caramac! The rice pudding itself is creamy and not too sweet, and I have added some Caramac buttons (caramel white chocolate) on top to add a taste of caramel, and then to serve you can drizzle more melted Caramac on top if you like. The rice pudding forms that lovely skin as it cooks, which is my favourite bit of rice pudding. You can just stir it occasionally if you don’t want any skin. Plus the slow cooker is really easy to clean afterwards so no scrubbing to do. 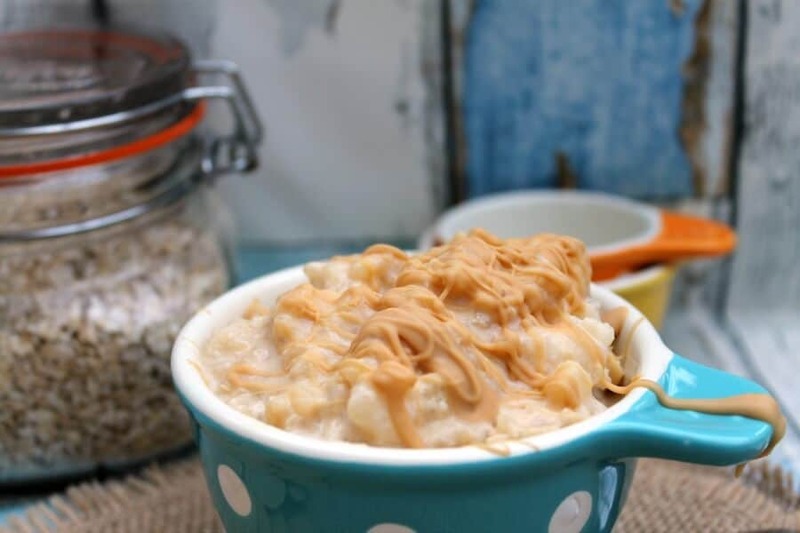 If you need comfort food then this creamy slow cooker rice pudding is just the dessert for you, rich and creamy and caramel flavoured, and so easy to make. I also make this plain without Caramac, and serve with a sprinkle of cinnamon. If you don’t like Caramac or caramel white chocolate you could also stir through dark or milk chocolate, cacao nibs, hazelnuts, raisins, the options are endless. Measure out rice, milk and sugar. 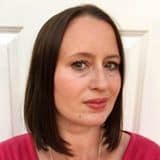 Check out my Slow Cooker Archives for loads more puddings and slow cooker recipes and subscribe here to receive my posts by email and never miss a recipe. For more slow cooker baking and dessert recipes check out my guide to baking in a slow cooker too! 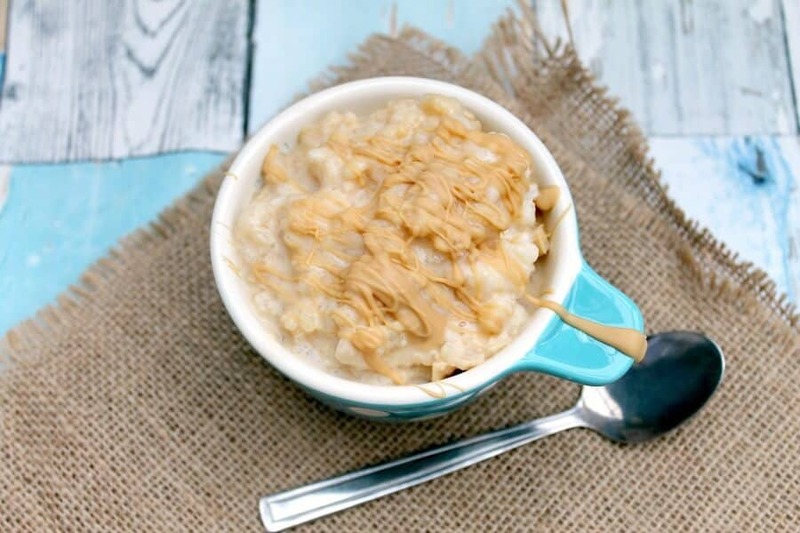 Pin this creamy slow cooker rice pudding for later! 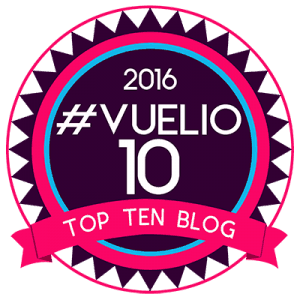 Place the pudding rice, milk and caster sugar in the slow cooker. Put the lid on and cook for approx 3 hours on high or 6 hours on low, until the rice is soft and swollen. Add the Caramac buttons on top and stir through. To serve, if you wish you can melt more Caramac buttons and drizzle over the top. Serve warm. Slow cooking it is the only way I can get rice pudding to come out perfectly. I need to try a caramac in it next time too. Lord alive this looks AYMAZING!!!!! 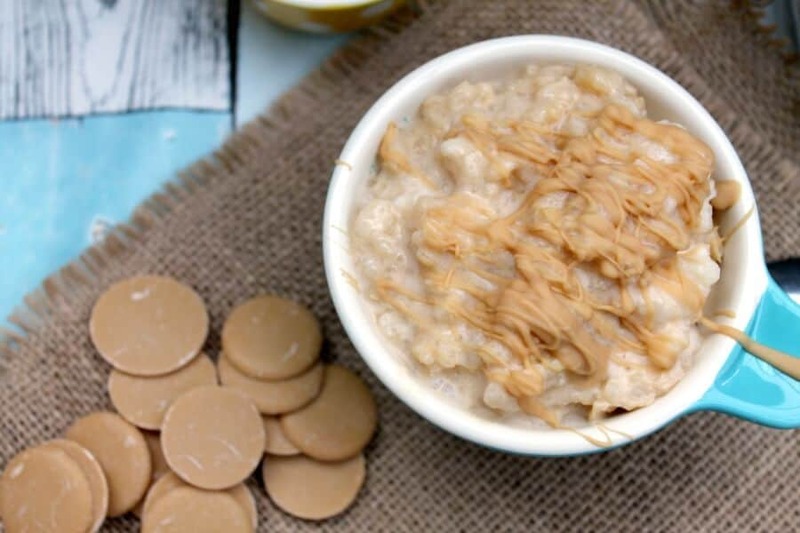 What a clever idea to put the rice pud in the slow cooker, and a stroke of genius to add the caramac… you’ve just opened my eyes to a whole world of possibilities!!!!!! Thanks Katie it was rather yummy! 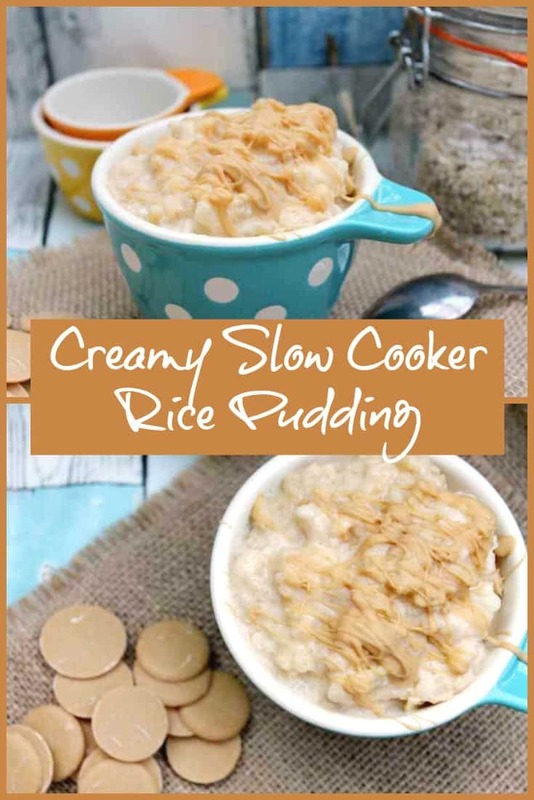 I bet rice pudding made in the slow cooker is super creamy. Long and slow has to be good. I’d forgotten all about Caramac and didn’t even know they still made it. How delicious. I saw these buttons the other day and remembered all about those thin Caramac bars! Definitely only making rice pudding this way from now on. Thanks Sammie I will probably make another batch this week too! I forgot about Caramac! I want to make this lovely rice pudding now 🙂 Yum! It is definitely a childhood sweet I think!! Yum! I used to love Caramac and not had one for ages, I bet they work beautifully here. Thanks for the shout out to my Mars version! Oooh, Caramac! I’ve not had this for a LONG time and now I have a major craving. I bet it’s delicious in rice pudding, a really great idea. Shall have to try it!